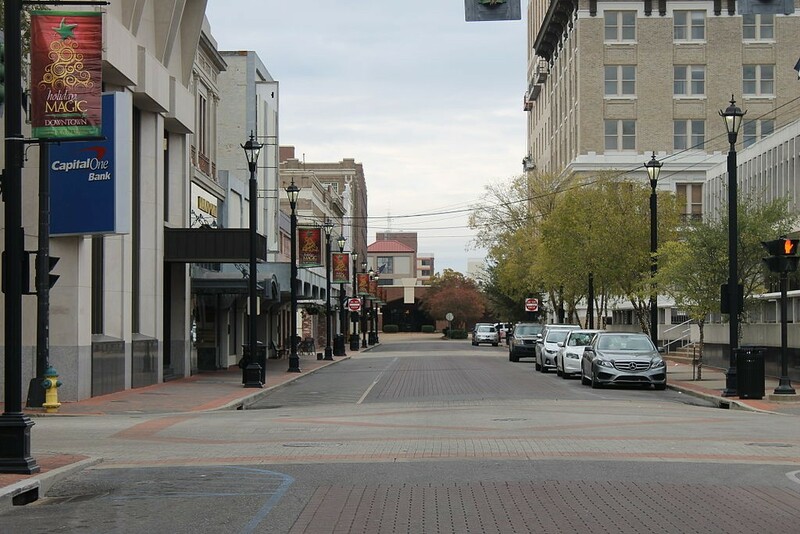 Located in the heart of central Louisiana, Alexandria is a city of mixed cultures where the traditions of south and north Louisiana meet. This mix of influences extends to the city’s dining scene too, where classic Cajun recipes and southern Louisianan fare are served up alongside soul food and upscale American cuisine. The Culture Trip has lined up the best locally owned restaurants to get a taste of what Alexandria is all about. Upscale Cajun cuisine and good old Southern hospitality are on the menu at Cajun Landing, a fine-dining restaurant that has been delighting local diners since first opening over 20 years ago. Seafood is Cajun Landing’s specialty, and guests will find plenty of Louisiana classics like crawfish étouffée and deep-fried shrimp on the menu alongside dishes like blackened chicken pasta and filet mignon. Dessert options include white chocolate bread pudding and chocolate pecan pie. Its location is something special too; there is a homey dining room and a charming front porch plus a laid-back bar and lounge ideal for after dinner drinks. One of Alexandria’s most recent additions, Wildwood Pizza opened in summer 2014 but is already hailed as serving up some of the best pizza in town. All of the restaurant’s pizzas are crafted using fresh, locally sourced ingredients and handmade dough before being cooked to perfection in Wildwood Pizza’s wood-fired oven. Choose from specialty pies like Porky’s Revenge (BBQ sauce, mozzarella, pulled pork, caramelized onions, bell peppers and smoked cheddar) or the Garden District (garlic olive oil, mozzarella, sliced tomatoes, minced garlic, spicy sausage, capers and basil) or create your own pizza from a range of sauces, cheeses and toppings. Voted best barbecue restaurant in the 2015 Cenla Focus Reader’s Choice Awards, Outlaw’s Barbecue is the place to go for smoked-to-perfection meats and juicy burgers. Alongside much-loved barbecue staples like ribs, chopped pork and link sausage, there are also outlaw-themed burgers like the Jesse James (with Swiss cheese and grilled onions) and the Butch Cassidy (with chili, grilled onions, bacon and cheddar cheese). Outlaw’s Barbecue also serves up a range of po’boys, and guests can team their meals with classic sides like barbecue beans, fried okra and corn on the cob. A charming little haunt in the heart of Alexandria’s historic Garden District, 1921 Jackson St. serves up delicious breakfast and lunchtime fare alongside coffee and specialty pastries. Regular menu items include hearty sandwiches like The Porker (slow-roasted pork seared with house-made BBQ sauce with miso-slaw and garlic aioli on a brioche bun) and pan-seared ahi tuna with artichoke cream sauce, tomatoes, red onions and fresh greens. Daily lunch specials are also offered and include the likes of French onion soup and bourbon-glazed salmon. Better yet, as 1921 Jackson St. is a proud participant in Fresh Central, all of its eats are crafted from locally sourced fare. Open since 1967, Spirits Food and Friends is more than just a restaurant — it’s an Alexandria institution. A mix of classic American grill fare, seafood dishes and Southern staples make up Chef Stephen Naegle’s menu, and Spirits’ burgers — which include the Red Eye topped with applewood smoked bacon, egg over easy, ranchero sauce, lettuce, tomato and roasted poblano mayo — are a definite diner favorite. It’s also one of the city’s best-loved music venues and a longtime supporter of local musicians, so grab a cocktail and enjoy talents from Central Louisiana’s music scene after your meal. Inconspicuously tucked away in a cozy, little renovated house in downtown Alexandria, Word of Mouth Café’s focus is Southern-inspired eats and comfort food classics. Since owner-chef John Gunter opened the establishment five years ago, it’s become one of the city’s favorite lunch spots. The menu changes frequently, but dishes like Asian pork tacos and spicy shrimp pasta feature often, and there are always hearty sandwiches and a wholesome soup of the day to choose from too. Make sure you leave room for dessert; Word of Mouth Café’s bread pudding is apparently legendary, and Chef John likes to mix it up with different flavors like bananas foster and peanut butter chocolate. Cooking up homestyle eats and southern Louisiana classics just like your grandmother used to make, Pamela’s Bayou In A Bowl is a hidden gem on the outskirts of downtown Alexandria. Daily changing plate lunches make up most of Pamela’s menu, with hearty portions of fried fish and shrimp, smothered chicken and fried pork chops teamed with sides like macaroni and cheese, okra and corn maque choux. A few salads feature too alongside a number of po’boys with fillings like asiago cheese and roast beef or bacon and smoked turkey breast. Boasting one of the most beautiful dining locations in all of Alexandria — a former jewelry store built in 1931 whose beautiful renovation earned the building the 2006 Louisiana Preservation Honor Award — Diamond Grill is a must-visit on any dedicated foodie’s list. Faithful to the building’s Art Nouveau-Art Deco style, Diamond Grill’s dining room features high ceilings, ornate plasterwork, original chandeliers, and an elegant mezzanine bar — a delectably stylish space in which to try its equally delicious cuisine. Seafood, steak and Southern-inspired fare are the focus with standout dishes that include elk tenderloin with a tomato demi-glace and crawfish stuffed tilapia with lemon beurre. A long-standing, family-owned business, Atwood’s Bakery has been ‘baking memories’ since opening its doors in 1977, and if you’re an Alexandria resident, chances are you’ve sampled its legendary cakes, cookies and pastries before. But there’s more to Atwood’s Bakery than just sweet treats; its deli is open for breakfast and lunch Tuesday through Friday and brunch on Saturdays. Breakfast and brunch feature tasty classics like Belgian waffles, biscuits and gravy and eggs Benedict, while Atwood’s lunchtime menu offers plenty of salads, sandwiches and the soup du jour. ‘Fresh, artisan, fusion’ is the catchphrase at Embers — an elegantly hip restaurant opened in downtown Alexandria a little over two years ago. Exposed brick and wood paneling give Embers’ dining room a warm, laid-back feel and live music acts feature every Friday and Saturday evening. Pizzas are the restaurant’s focus, and guests will find classic pies like the margherita nestled alongside innovative specialty pizzas like the Smokehouse (smoked gouda, smoked chicken, BBQ sauce, red onions and cilantro) and the Nomad (Greek yogurt, cucumber, garlic, dill, eggplant, lamb and goat cheese). Embers offers a few salads and pastas too plus tempting starters like Peruvian shrimp and veggie tacos.